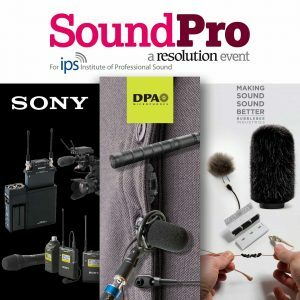 Join us at SoundPro 2017, where we will be exhibiting DPA Microphones, Sony Pro Audio and Bubblebee Industries professional microphones, wireless systems and accessories. The event will play host to the leading manufacturers, dealers, distributors, and service providers and is targeted at location recordists, production sound operators, freelancers and audio pros in television, radio, film, post production, live events and game production. This is also a great opportunity to get your hands on all the sound gear from the IBC Show and talk to us about Sony’s brand new DWX3 system and what’s in store from DPA later in October!